The Wright brothers’ best-known pre-aeronautical occupation was bicycle repair and manufacture. 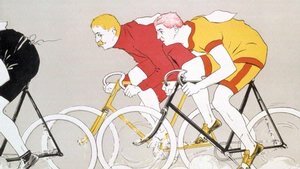 Their bicycle business provided them with an adequate and enjoyable living, an upstanding reputation in the local business community, and an outlet for their mechanical interests. Knowledge and experience with bicycles also proved valuable to the Wrights' development of a successful airplane. The brothers purchased bicycles in the spring of 1892. Wilbur preferred long country rides, while Orville enjoyed racing and considered himself a “scorcher” on the track. Surprisingly, no photographs exist of Wilbur or Orville on or with a bicycle. Katharine Wright (far right) out for a ride with her friends. The Wrights’ growing local reputation as skillful cyclists and mechanics led to many requests from friends to fix their bicycles. 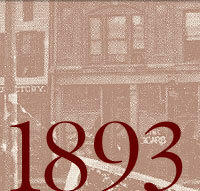 In 1893 they capitalized on the situation and opened a small rental and repair shop. With their newspapers defunct and Ed Sines handling most of the day-to-day tasks of the printing shop, the brothers were in search of a new challenge. Bicycles furnished it. Knowledge and experience with bicycles proved valuable to the Wrights’ development of a successful airplane.